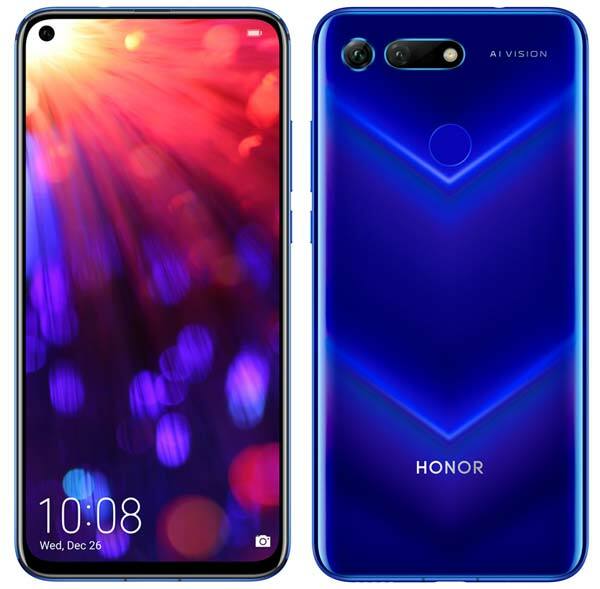 Earlier – 22nd January 2019 – Global Launch – Honor today announces Honor View20, the global variant of its flagship Honor V20 which was introduced in China a few weeks ago. Honor View20 sports a 6.4-inch All-view display with an In-screen front camera which is placed in a display cutout on the top left of the display. It is also the first smartphone in the world to feature an In-display camera. Additionally, View20 also comes with Eight World’s First Technologies. Its a Dual SIM 4G smartphone supports Dual 4G as well as Dual VoLTE but, doesn’t include an expandable storage slot. Apart from the In-screen camera, the most highlighted part of this smartphone is the In-house Kirin 980 AI processor. It the world’s first 7nm mobile AI chipset equipped with dual NPU that improves phone speed by 20%, power efficiency by 40% and AI processing by 120% as compared to the 10nm chipset. In the camera department, this device gets a primary 48MP AI rear camera mated with a 3D TOF camera that captures the depth of an image and provides various 3D parameters. The front camera has a 25MP sensor and supports various AI modes including Portrait. Honor View20 comes in two variants – 6GB RAM with 128GB Storage and 8GB RAM with 256GB Storage. The Honor View20 is offered in three eye-popping shades – Sapphire Blue, Midnight Blue & Phantom Blue and will go sale in 18 countries starting 23rd January 2018. The 6GB/128GB variant starts at €569 and the MOSCHINO Edition in collaboration with Italian fashion brand MOSCHINO with 8GB/256GB configuration priced at €649. The Pricing and availability in India will be announced on 28th January 2019.